Ella Varvio, FCINY’s artist-in-residence in May-June 2018, will open her solo exhibition at ChaShaMa Gallery on June 20, 6-8pm. Additionally, Varvio will give a Visiting Instructor Talk at UrbanGlass, Brooklyn on June 21, 6-8pm. ChaShaMa, 266 W 37th St. Inspired by the city’s architecture, Ella Varvio has been experimenting with taking something structured and straight-lined and allowing the organic movement of glass to wring them out of their forms. Visitors to Ella Varvio’s pop-up exhibition Surreal City will encounter illustrations and glass artworks inspired by recent visual observations of the city of New York and more imaginative terrain. Varvio is specialized in art that combines mouth blown glass and narrative drawings. Her project as artist-in-residence at the Finnish Cultural Institute in New York revolves around seeking novel and contemporary motifs for her glass art. Surreal City exhibition is supported by the Finnish Cultural Institute in New York. Ella Varvio is producing new works for her exhibition in collaboration with Joshua Reiffe. 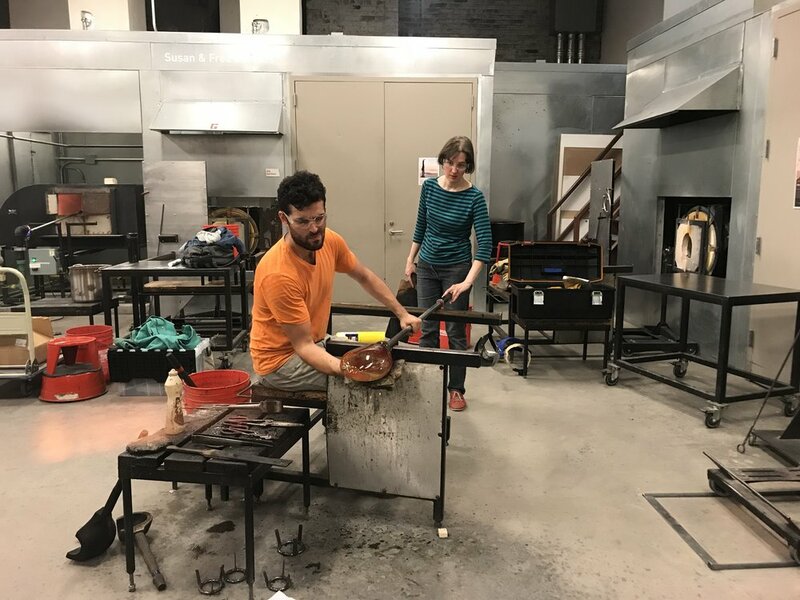 Varvio and Raiffe have been teaching Explorations in Graal Techniques class at UrbanGlass, May 10 – June 14.